Banners are the ideal solution for a wide range of signage needs. Whether you use them for trade shows at the Raleigh Convention Center or storefronts in Apex, banners are great for grabbing attention and providing a high-impact presence at an affordable price. 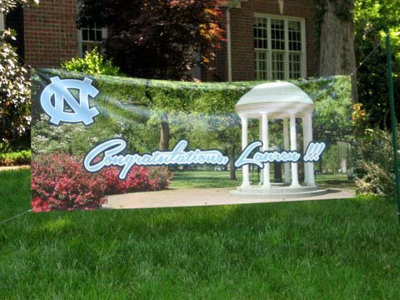 Banners are also great for personal use such as for celebrating graduations, birthdays or any other special event that you would like to commemorate. 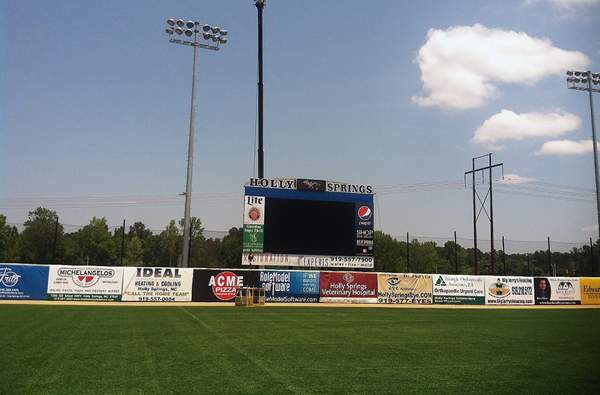 Our banners are durable enough for repeated outdoor use in the Apex elements and they come complete and ready to hang. From concept to it hanging on your wall, we make the buying process easy. We start with a personalized consultation and then manage your project through design and production to delivery and installation wherever you need it. 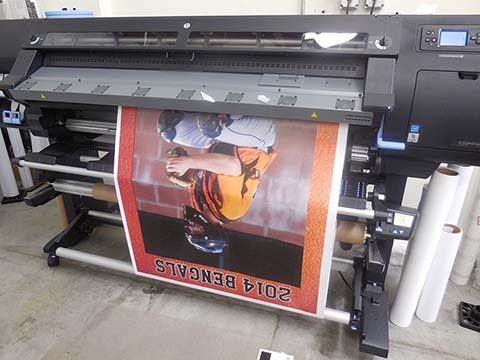 With our digital printing we offer a wide range of colors and can customize your banner with any choice of lettering, graphics and sizes. Bruce and his team created high qualtiy magnetic vehicle signs and smaller magnets for my business. Sign Edge provided me with amazingly quick service at an excellent price. I highly recommend Sign Edge! Thank you Bruce and Jason helping us make changes for our sign multiple times! Thank you Jason and Ben come out and put them on! They are very nice and easy to deal with, and the sign looks great! Will come back if more sign need in the future. You know you talk to the right people when come to do sign. Great service. Great people. Fast run around. Love these guys! 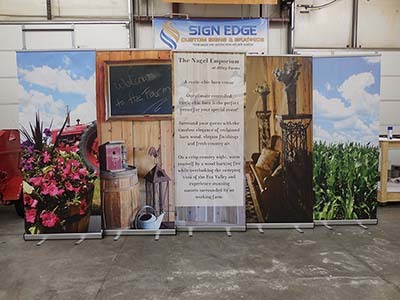 I have worked with Bruce and his team at Sign Edge on several Projects. They are professional, fast and a great team to liaise with on any project from concept to completion. Wrapped our van a couple of years ago and it still looks great! Great price and fabulous service. Worked with us on a design that looks great on our vehicle. I recently purchased a new van and needed it lettered. I contacted Sign Edge ,met with Jason , and they did a great job of sending proofs for approval . After a couple of changes I dropped off the van and was told it would be ready on Monday and it was.The vehicle looks great and it exceeds my expectations. Bruce and Jason did a great job and it was a pleasure working with them. We look forward to working with them in the future. 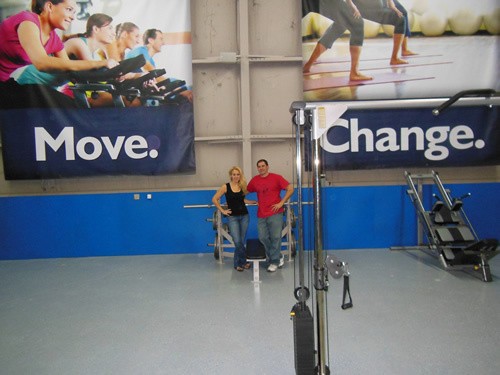 They did an amazing job with a quick turnaround difficult project. Amazing professional results. Will use them again! Bruce, Jason, and the team have been very pleasant to work with. The signs look great, and they provided an excellent price. We had a miscommunication about one of the signs, and they immediately said "no problem" and took care of it. I intend to use them again for any local sign work. Awesome custom sign shop. Custom work, car wraps, business cards and other schwag. You name it, they do it. Bruce created a 6 foot college graduation sign for our yard and it was awesome. I simply told him what I was looking for and he came back with a perfect design the same day. The sign was exactly what I was looking for and Bruce was so easy to work with. Thank you so much for a great job!